James Goodwin Batterson was the son of a stoneworker. 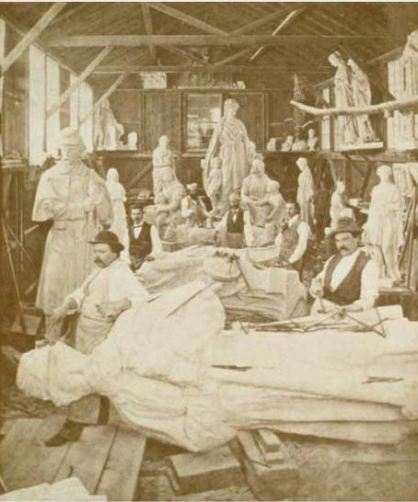 Following his birth in Windsor, Connecticut, in 1823, Batterson moved to the town of New Preston where his father started a marble stone yard in an area known as Marble Valley. At an early age, James Batterson ventured to work in a print shop in Ithaca, New York. Upon his return to Connecticut, the twenty-three year old established himself as the proprietor of a cemetery monument business in Hartford. Although the business’s name changed over the years, Batterson’s central office remained on Hartford’s Main Street for over five decades. In addition to selling stone monuments, Batterson also established himself as a stone dealer and building contractor, as well as an inventor; he created a lathe that produced round, polished stone columns. All of these ventures created opportunities for expansion throughout New England and, ultimately, around the nation. James Goodwin Batterson – Image Courtesy of The Travelers Companies, Inc.
Batterson’s extensive background and artistic interests, combined with his business acumen, guided his foray into the monument business. He desired to re-create in America the lasting monumental tributes he admired throughout Europe and Africa. Early examples of his work include the 1854 statue contracted by the American School for the Deaf and the 1857 General William Jenkins Worth Monument at Broadway and Fifth Street in New York City. Just a few short years later, the Civil War provided Batterson and the nation with the ultimate chronicle worthy of lasting tribute. It was during the Civil War that Batterson entered another field of business, one that continues to call Hartford its home. In 1864, he created the Travelers Insurance Company, which pioneered the accident insurance market in the United States, a business model Batterson observed while traveling in Europe. By the time the Civil War ended, with the sort of carnage that no one in the nation ever imagined, the need for remembrance became paramount. With some 750,000 killed in a mere four years, monuments became one way to memorialize self-sacrifice and duty to the nation. “James G. Batterson (1823 – 1901).” Cedar Hill Cemetery Foundation, 2016. Link. “Cedar Hill Cemetery,” 2016. Link. “Death List Of a Day; James G. Batterson.” New York Times, September 19, 1901. Link. 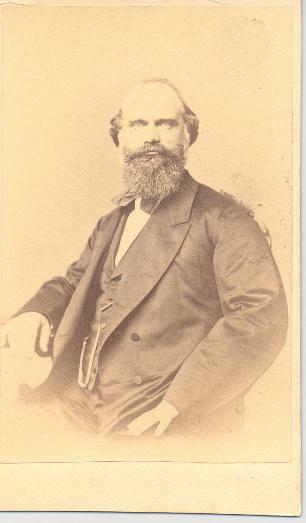 Hosley, William N. “Travelers’ Founder: Hartford’s 19th-Century Renaissance Man.” Hartford Courant, May 23, 2012. Link.